New retail catering concepts have been designed this year to bring a taste of the USA to more than the 70,000 fans visiting the stadium. Guests were able to indulge in some American comfort food at The Mac Shack, discover the flavour of Kansas City at Prairie Fire BBQ, taste big flavours and fresh ingredients at Nom Nom Burritos and try an American classic at Wings 'N' Things. For the first time an American Chilli Beef Touchdown Pasty has been specially created by one of NFL UK's official partners, West Cornwall Pasty Company, and is available throughout the stadium. Culinary operations at this year's series have significantly grown with 2,750 hospitality covers at the match on Sunday alone who enjoyed a starter of air dried beef with dressed celeriac, dill pickle, rye and Swiss cheese, main of pulled Kentish lamb, red cabbage, molasses, coriander and mint yogurt, potato and roast onion roll and to finish pumpkin pie, cinnamon spiced compote. Guests on Sunday also made the most of the new Click and Collect app which had been created for fans wanting to beat the queues at this year's NFL games. Visitors to the stadium are able to pre-order drinks for collection and pick up at a designated bar. 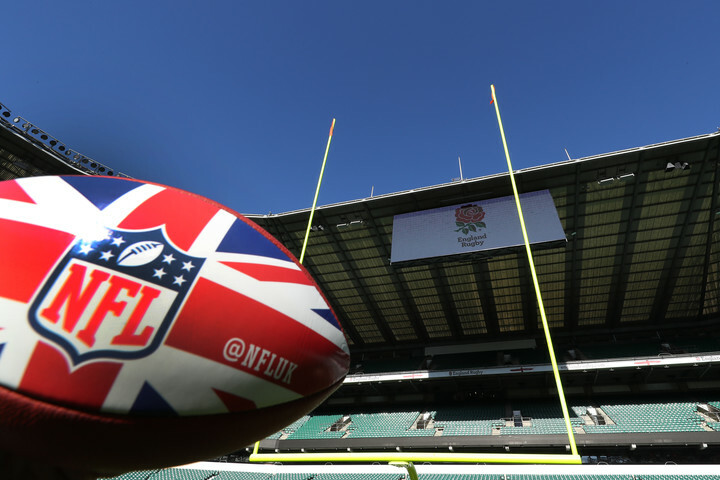 Nils Braude, Twickenham's Catering and C&E Director said: "Sunday's game was a fantastic start to the two NFL UK games hosted at Twickenham Stadium. Our food and drink offering in the Tailgate is bigger and better than ever and the atmosphere from the fans around the stadium was buzzing."